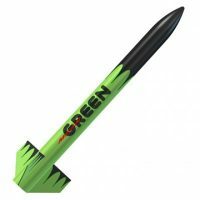 This skill level 3 rocket comes with a durable balsa nose cone, laser cut balsa fins, and waterslide decals. 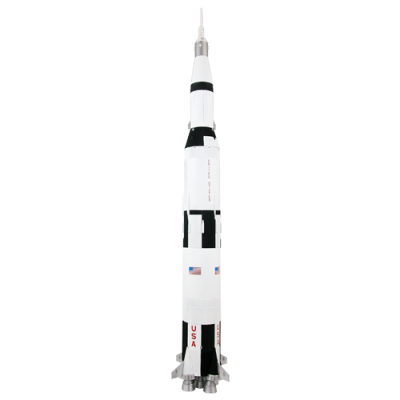 D or E engines can carry this rocket to heights exceeding 1,600 feet. The rocket recovery system is a preassembled 18 inch parachute. 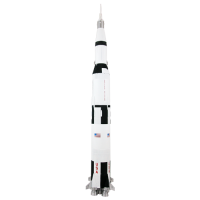 Moderate modeling skills required with painting, gluing, and some sanding necessary. 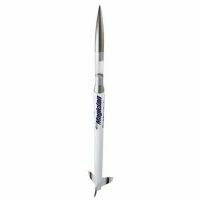 Building tools, finishing supplies, Estes engines, and launch equipment, including a 3/16 inch Maxi launch rod required – sold separately. 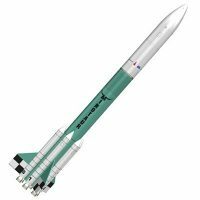 E engine launches require the use of Estes Porta-Pad E Launch Pad and E Launch Controller sold separately.